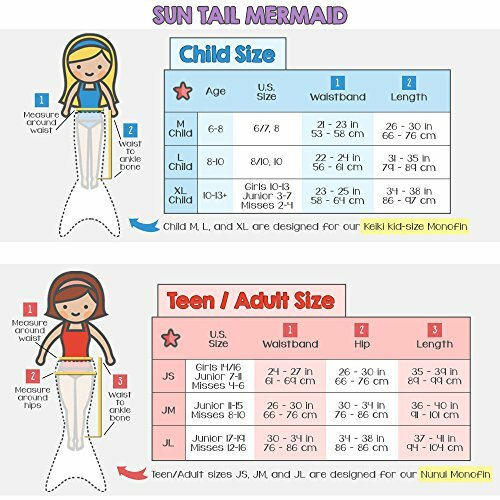 Little swimmers can channel a mermaid with this swim fin. 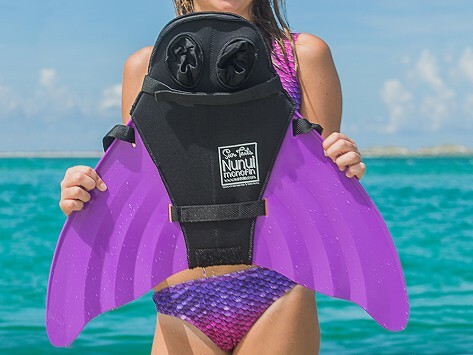 The durable and flexible monofin design gives kids propulsion and mermaid-like movement in the pool (under the watchful eye of an adult) while they explore a fun new way to swim. Dimensions: Child: 19" x 17" x 1"; Teen/Adult: 24" x 22" x 1"
Weight: Child: 1.38 lbs. ; Teen/Adult: 2.38 lbs. Sun Tail Co-Founders (and neighbors) Cameron Taylor and Jessica and Eric Wiseman were inspired by a few mermaid-loving little girls. We can think of many kids who will give these tails two fins up.